Charles Shepherd's iconic 24 hour clock which was installed in 1852 can also be seen in the picture. But to an unfamiliar eye on the other side of the globe, the photo's recognisable features and significance appears to have been missed and for over 50 years it's been catalogued with no detailed description. 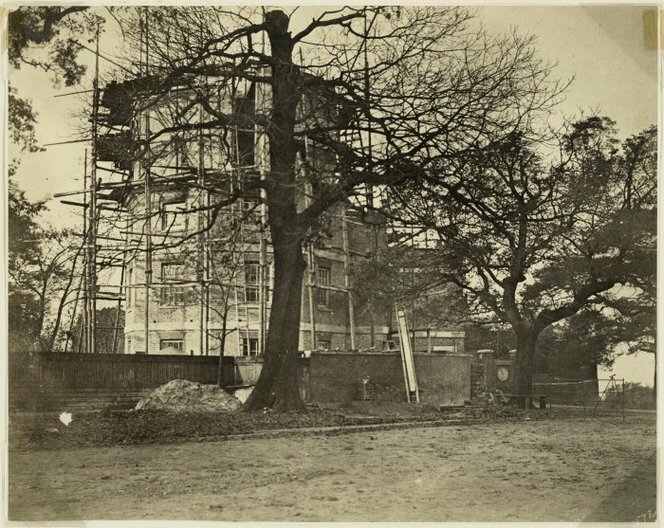 Other photos from around the same time exist in the Royal Greenwich Observatory archives at Cambridge - such as one showing the rear of the Meridian Building and one showing Flamsteed House. Which picture was taken first isn't clear but this image of the Great Equatorial Building has a claim to be amongst the oldest photos of the observatory in existence. Glaisher's daughter Cecilia moved to New Zealand with her husband Frederick Hunt and it appears some of her father's photos travelled across the world with her. 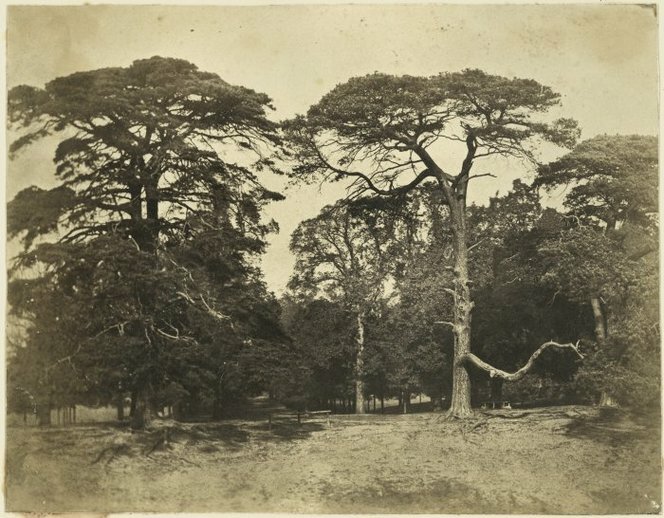 In 1963, two years after the death of Glaisher's granddaughter, a collection of Hunt family papers including two photo albums containing dozens of albumen prints was given to the Alexander Turnbull Library, part of New Zealand's National Library. That collection includes family portraits and scenes from locations including Devon and Sussex as well some much closer to home. 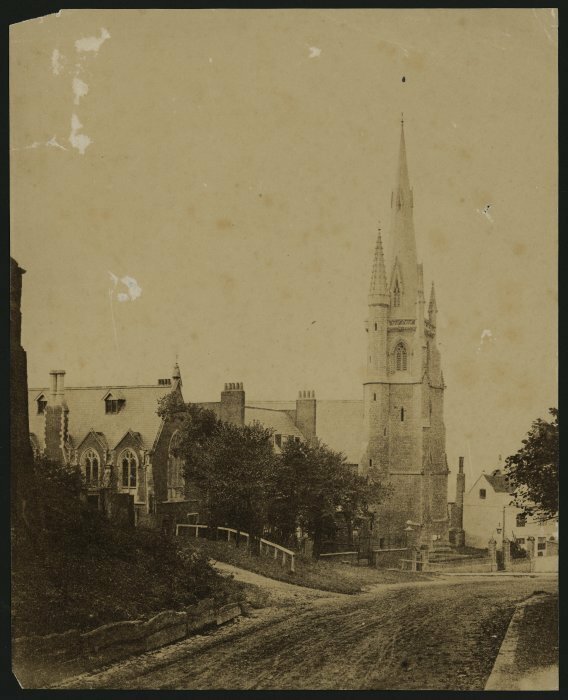 One picture which has been indexed with an accurate description shows Our Lady Star of the Sea Church on Crooms Hill. 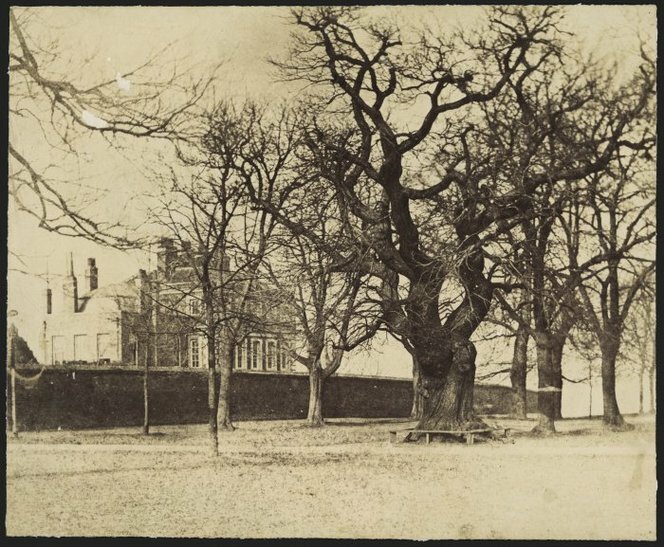 The picture - probably the earliest ever taken of the church - was mentioned in Father Kevin Robinson's superb recent lecture to Greenwich Historical Society after it was found online by congregation member Maeve Donegan. 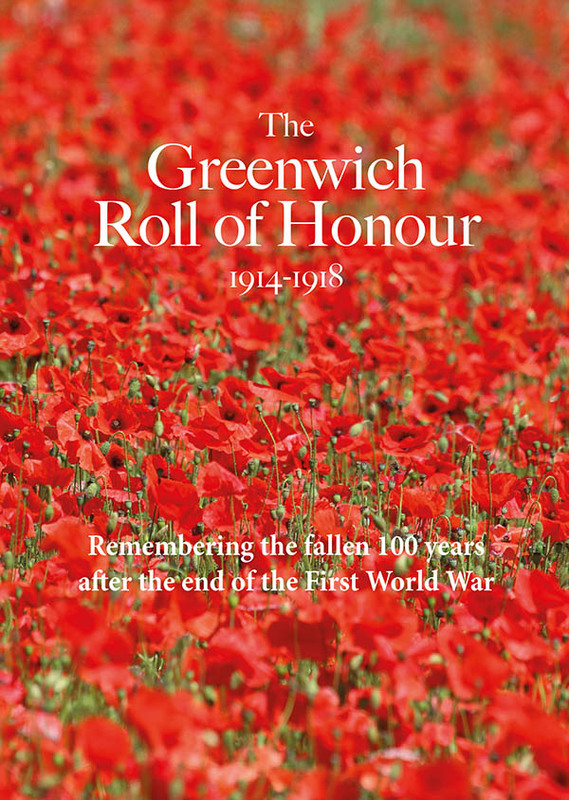 Following Maeve's exciting discovery of the church photo, I examined the rest of the images in the collection and was taken aback to find the recognisable shape of the observatory's Great Equatorial Tower and the Shepherd Gate Clock as seen from Greenwich Park. It is recorded in Journal of the Astronomer Royal that the scaffolding was removed on 12 December 1857. 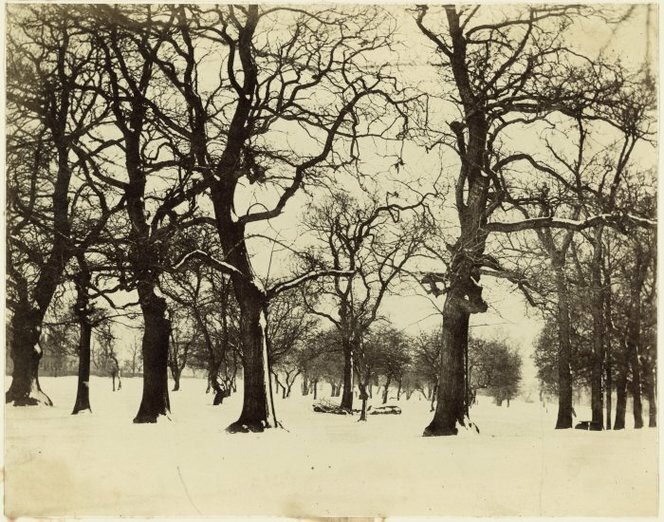 "Home and Park": Another photo in the Glaisher collection which has not been identified until now shows Park Hall at the top of Crooms Hill as seen from Greenwich Park. Park Hall was built and lived in by architect John James. Between 1722 and 1724 it became home to Sir James Thornhill of Painted Hall fame. 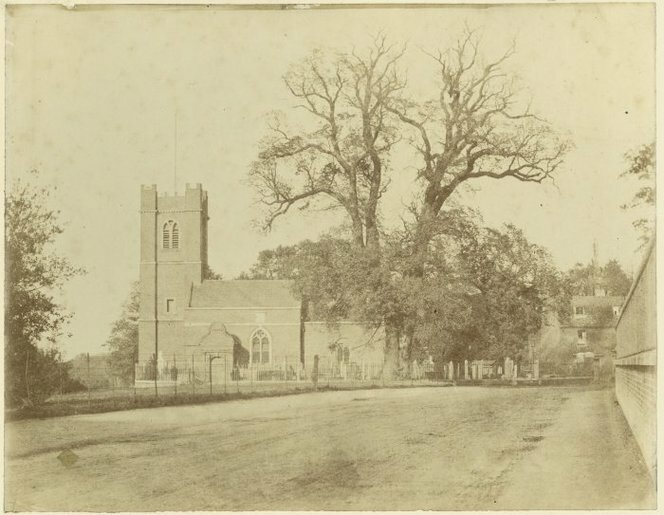 "Church, England": St Luke's Church in Charlton also features in the collection but has not been identified until now. 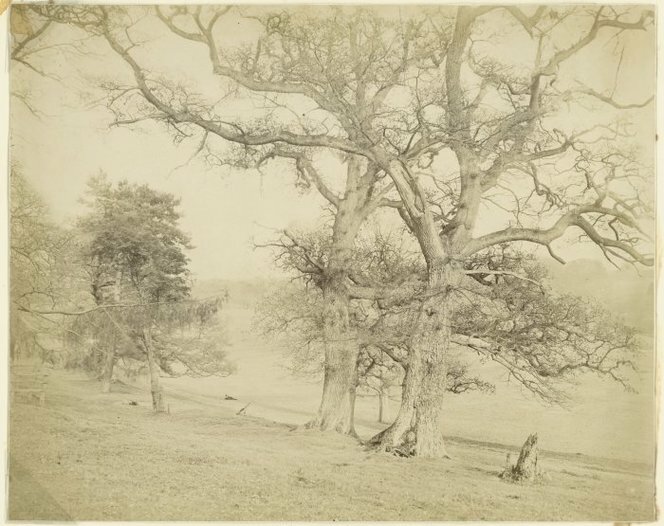 Other pictures credited to Glaisher which could be local scenes include these photos of trees. Could these be local scenes too? Can you spot any recognisable features? The whole collection can be viewed online here. With thanks to Maeve Donegan for the finding the Our Lady Star of the Sea photo which led to further discoveries; to Graham Dolan of royalobservatorygreenwich.org for invaluable knowledge and expertise on the Royal Observatory; and to Julian Watson for identifying Park Hall and St Luke's, Charlton.